A drama about two families and the dark secret that they keep between them. Kang Ji Hwan is from a wealthy and influential family. 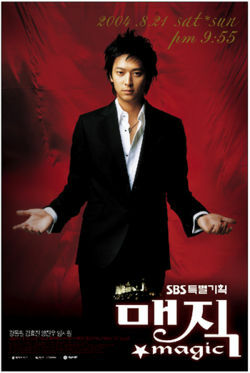 He meets and falls in love with Seo Dan Bi. However, Dan Bi is from a poor family and their families disapprove of their relationship. Ji Hwan's younger brother, Eun Hwan, and his wife, Soo Ah, have been trying desperately to have a child of their own but have been unsuccessful. When Dan Bi enters the Kang family, she is already pregnant and this fact causes tension between Dan Bi and Soo Ah. The tension between the two daughter-in-laws affects the two brothers who have always had a good relationship. 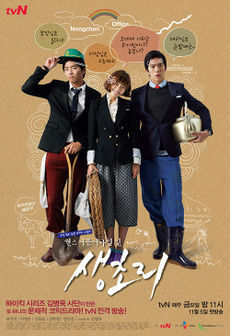 Lee Mi Jin, Ji Hwan's first love, reenters his life with the intention of breaking up his relationship with Dan Bi. She knows a deep, dark secret that could affect both families. How will Mi Jin use her knowledge of the dark secret to break Ji Hwan and Dan Bi apart? What lasting effects will this have both families? What's the dark secret? Also Known As: 누구세요 / who is it? Cha Seung Hyo is an abandoned child who gets adopted in the United States and grows up to be a cold hearted person. Son Il Gun is a father who died, but he left things unfinished with his daughter. In order to make sure that his daughter is provided for he controls Seung Hyo's body for three hours a day for 49 days. He buys his daughter the things he couldn't do when he was alive with Seung Hyo's money. Il Gun's daughter, Young In, is a quick-tempered girl who meets Seung Hyo during her part-time job. At first she has a bad impression of him but she gradually starts to fall for the lonely Seung Hyo who is unable to open up to anyone else because of his bitter past.